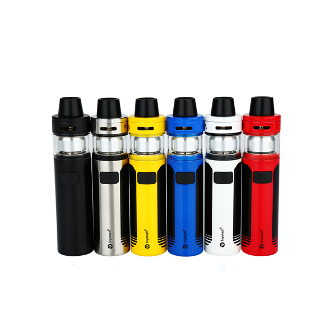 Joyetech is one of the top brands for practical and stellar AIO Kits and the Joyetech CuAIO D22 is no exception. This all in one style has a 1500 mAh battery with a 3.5/2 ml liquid capacity depending on the coil within. The device is considered child proof and will need you to slide and turn the tank lid for access to its liquid cavity and coil. With its new ProC-BF styled Coils this miniature vape pen gives users a tighter draw for mouth to lung inhales and gives plenty of flavor and soft clouds. While the coloring and basic design may give a sleeker look than other AIOs, they are similar with their passthru function and airflow control feature.